Skinny Jeans & a Chai Latte: Being crafty :: Sharpie decorated mugs. 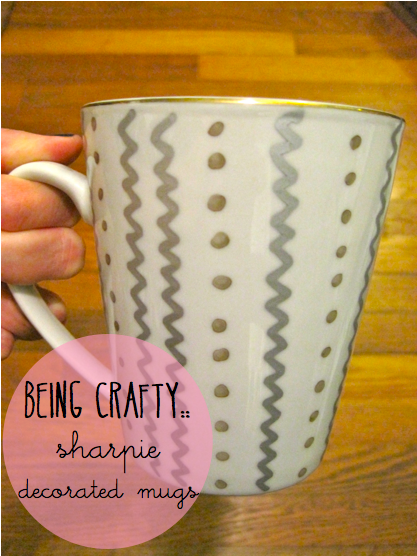 These Sharpie designed mugs and plates are the latest DIY craze and I can't wait to try this out with the kids. 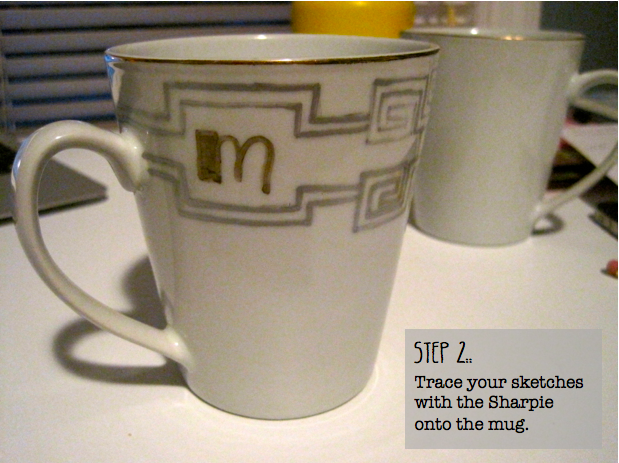 So funny--I haven't gotten any plain mugs, but I did get some plain white plates from Ikea to do the very same thing with sharpies. I didn't realize they had to be those special sharpies though . . . gonna have to go back to the store. 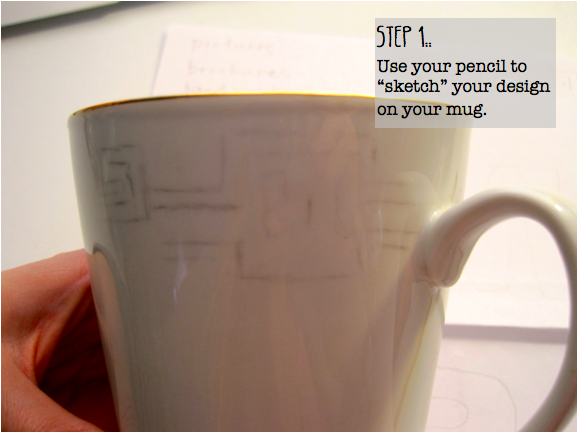 Good idea to trace with pencil beforehand! Very cool DIY. Love all the creative things you can do with Sharpies. Love the designs! 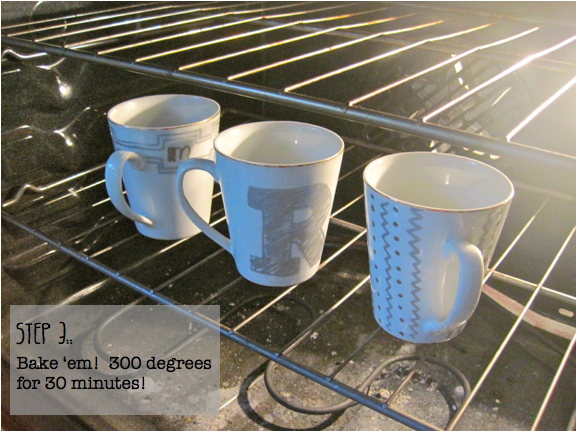 I've been meaning to try this DIY for a while! Very cute! 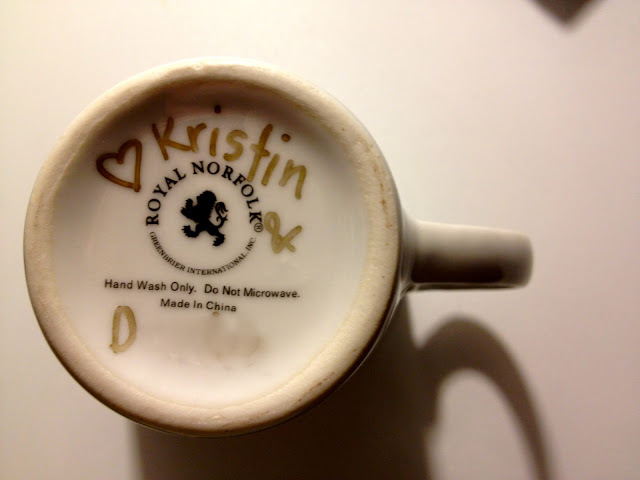 I decorated some mugs with regular Sharpies and they DO NOT wash off. I say this, because I hated the way they turned out, and I was hoping that it would wash off in the dishwasher. No such luck! I am planning on doing this this weekend for my coworkers... I really want to know how they hold up in the wash! 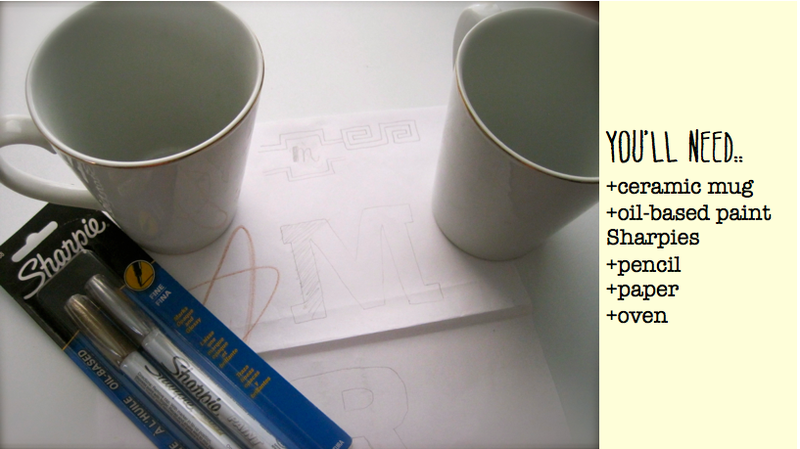 So oil-based sharpies or porcelain pens?? Good to know! I can't wait to try this! Yours look awesome! I've been wanting to try these! Yours turned out so cute.